If I had been asked before I had started my mother journey what ‘full term breastfeeding’ was, I would not have had a clue. It is in taking part in life and the love that opens you up when you have a child, that experiences just happen. I can honestly say that the time with my child has been the most intuitive time of my life so far. My breastfeeding journey started as it was meant to for me. As my baby was born under the microscope because of health concerns, he was whisked away to neonatal for tests and here was where it started. I expressed straight away my desire to breastfeed, on numerous times. However on one visit I was matter-of-factly told they had formula fed him. I was heartbroken. 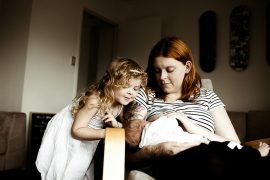 I believe that heartbreak, at that moment in time, gave me the absolute desire and determination to breastfeed. On one visit there was a lovely, patient nurse who helped me and very soon breastfeeding was in place. 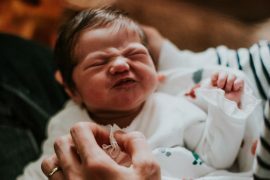 From that very first feed, looking down on my baby’s face suckling at my breast, I was filled with absolute peace and a rightness about it. Nature took over and every fibre of my being knew it was right. From that moment on, that was it. It was on this journey I learned, read the right books, spoke to the right person and they all gave me enough encouragement to keep going. 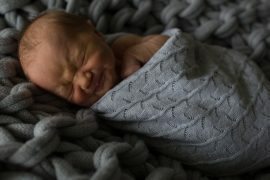 When he came home, the night feeds were exhausting, yes, but there was always a rightness to what I was doing, and I am certain it was because of my experience in the hospital. He also developed a routine of constant slow feeding from 6pm until 9pm, every single night. Visitors would joke that they came to see him, but actually only saw the back of his head. One night he went on until 10pm and I felt I was losing my mind, that extra hour felt like emotional torture. However I never once took him off the breast. He would slowly very slowly suckle, all that time. A midwife informed me he was doing exactly what he was meant to do, ensuring there was a plentiful supply for the night. 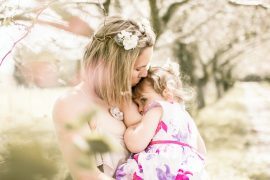 I had mastitis twice, the first time I became really ill, the second time I could feel it coming so could support myself sooner. I Baby-Led Weaned also and so when the time came, it was my child who led the way. When he was ready for solids, he would grab and play with my food, so play started the process and eventually he would put food into his mouth. His nappies were evidence of what was swallowed. I was given some every wise advice many years ago, that I will share,”there is a reason why a child’s first teeth are also known as milk teeth”. It is a truth that exhaustion can make us question our commitment, especially when well-meaning advice can be given that a bottle will make a baby sleep all night. It can and does, but it does so at a cost. It is a simple fact that cow’s milk is for calves. Calves that grow at a rate far faster than humans. The child sleeps so long trying to digest something it is not meant to have in it’s stomach at all. As with all things in life, it shows the importance of looking deeper into something and questioning what has become a norm for society. A breastfed baby does wake more often, because the stomach of a baby is designed for little and often. It is designed perfectly, it is not the baby’s anatomy that is at fault. It is the society’s pressures and ill informed opinions that need to be in line with the truth. What a baby really needs, is what nature gives. A mother full of love and breast milk. One remark I will always remember being told was that breast milk is liquid love. What a beautiful vision to hold. So all of you with little ones, who are struggling with lack of sleep, remember why you are making this commitment to your baby. You are giving your baby liquid love. There are the facts about strong immune systems, etc, that breast milk can give your baby. However, when you are so tired and your world is revolving around this beautiful being, when well-meaning relatives or professionals are whispering in your ear that maybe it would be easier formula feeding, stop. Let the above words wash over your doubt and exhaustion. 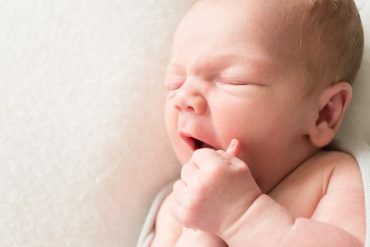 Why does my baby fuss at the breast and what can I do about it?